This transparent gown is tailored for no one but instead for the ‘Dress Code’ Exhibit, which is now showing at the Katonah Museum of Art in Katonah, N.Y. 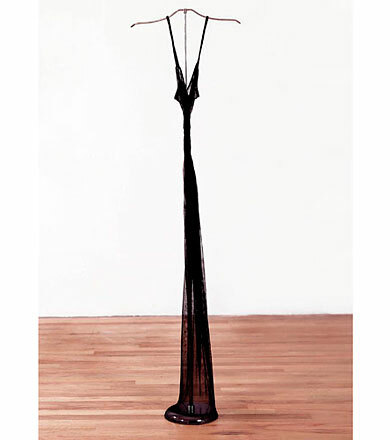 This artistic critism toward the fashion world’s intimidating – and questionable – perspective on beauty was designed by Maureen Conner, who named this piece “Thinner Than You.” Duly noted. More information can be found on the aforementioned blog. Can you imagine the sea’s worth of bickering over the above piece? Personally, I love it. Lets put an end to unhealthy diets by showcasing the impossible.